At Get My Auto, we are constantly championing the value of Craigslist. 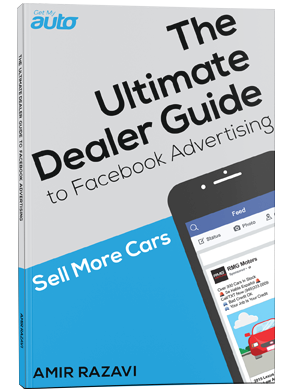 For used car dealerships, this platform is an invaluable way to connect with motivated buyers, and it’s been proven effective in increasing appointments and sales. But you can’t take anything for granted, and Craigslist is only effective when you invest it with the right strategy. 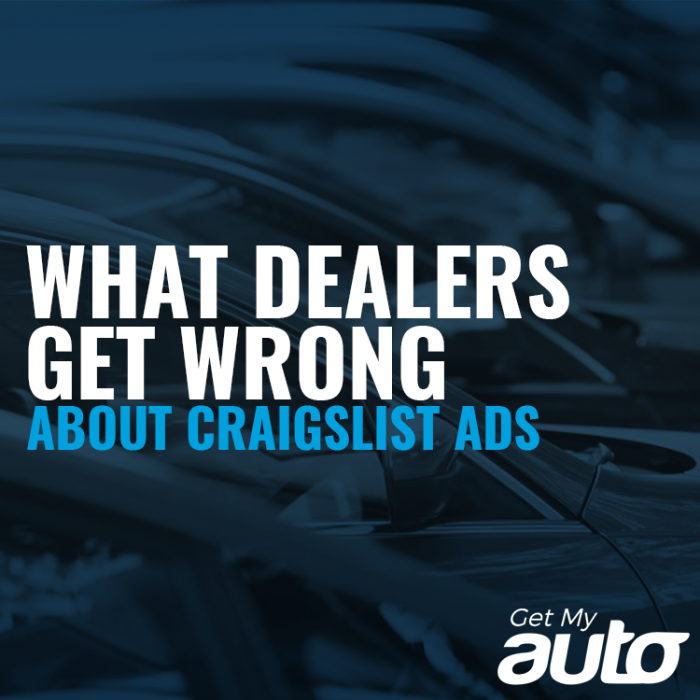 All too many dealerships make costly Craigslist errors, rendering their ads ineffective. Here are some examples. You’d be amazed at how many Craigslist ads are all but unreadable—and for a variety of reasons. Sometimes it is simply due to poor spelling and grammar; make sure you always double and triple check your ad copy! And sometimes it’s due to issues even more basic—for example, typing in all caps, or writing in extremely long and rambling sentences. Avoid doing anything that makes your ad copy difficult to parse. Craigslist shoppers want truth in advertising—so give it to them! Avoid ad titles that are anything less than transparent. Simply put, if you’re selling a Chevy Equinox, then your ad title should actually contain the words Chevy Equinox. Always make sure your buyers know exactly what they are getting into. This one always surprises us. Many dealerships post ads that feature blurry or unclear photos; or, in other cases, photos that simply don’t show off the vehicle at its best. Our advice? Opt for high-quality images with lots of bright color. Pick a backdrop other than your used car lot—maybe somewhere with a lot of natural greenery? Buyers don’t just want to know the make and model. They also want to know things like the mileage, and which features/amenities the vehicle comes with, and any modifications or maintenance work you’ve done at the dealership. Make sure your ads offer plenty of factual, tantalizing sales points. One final note? Your Craigslist ads aren’t just about the car. They are also about selling your dealership. Simply put, you need to give buyers a reason to buy that Chevy Equinox from you, as opposed to one of your competitors. Emphasize things like your customer service team, awards you’ve won, customer satisfaction scores, and beyond. Craigslist ads present great sales opportunity for your used car dealership—but only if you leverage them strategically. Be sure you do so and start by avoiding the common errors we’ve noted here. And to learn more about effective Craigslist advertising, reach out to the team at Get My Auto today!